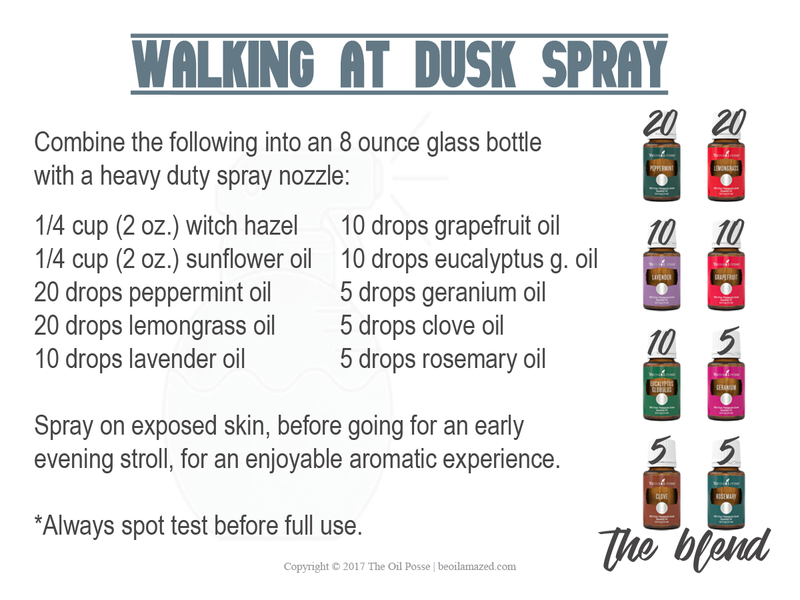 Hello, not sure if my other comment went through..
Was curious about the discrepancy on the “Walk in the Dusk” ingredient list. But the photo of the bottle says 10 drops. Could you share which is correct? Thanks for writing. This is the only comment we received but very thankful we did. The card went through 3 editors and we all missed that . . . thank you for bringing it to our attention. The spray is fine with either 10 or 20 drops of lavender but is better with just 10. I’ve made the correction and have uploaded the updated card. Refresh the page if you do not see the updated card. Thanks again! Thanks for all you do for us! Grateful to this group!